THE drought-induced hunger that faces Zimbabwe should be a wake-up call for the Government to take irrigation development seriously and move away from depending on rain-fed agriculture. It is a fact that the Government, while appreciating the importance of irrigation to national food security, has given lip service to irrigation rehabilitation and development. Now we are faced with hunger as most crops were severely affected by floods and the prolonged dry spell. Farmers had played their part in ensuring vast tracts of land were put under cropping, but their efforts came to naught owing to erratic rainfall. We are now faced with the problem of having to import huge tonnages of grain to avert the looming drought-induced hunger. Crop assessment has indicated that at least 300 000 hectares of maize is a complete write-off, making it difficult for farmers to produce the national requirement of 1,8 million tonnes annually. This is a climate change problem that cannot be blamed on anyone, but it is a problem that the Government can easily tackle by implementing the irrigation development plan. Under the plan, the Government was supposed to rehabilitate all irrigation infrastructure on the farms and develop new ones on farms without the infrastructure. It was hoped by now most farms would have been fully irrigated and taking advantage of the dams scattered across the country. This has not been the case and as a result we have seen dams filled to capacity with water going to waste because the farmers do not have the irrigation infrastructure to use the water for agricultural production. It’s time we stopped paying lip service to irrigation as it has become very clear that gone are the days when the agriculture sector depended on the rains. Without irrigation, achieving national food security is an uphill task as we are currently witnessing. The money Government will spend on importing grain would have been better spent on developing irrigation and in the long term, save the nation of millions of dollars in imports. 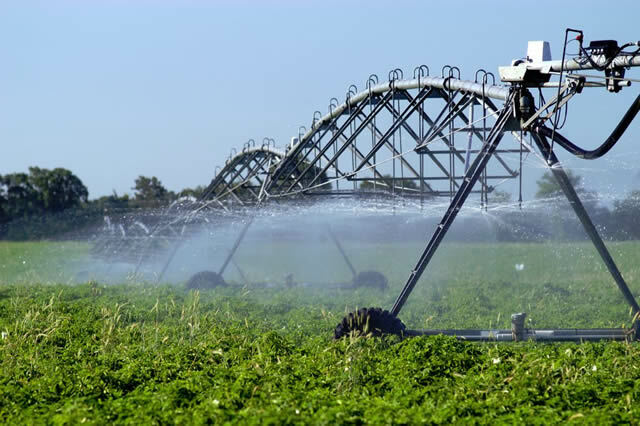 With irrigation, farmers can plant early and irrigate and when the dry spell sets in, can then turn on their irrigation and this impacts positively on crop yields compared with dependence on the rain. However, Government must be commended for moving swiftly to avert hunger by mobilising funds to import grain. This is precisely what a Government that has the interests of its people at heart is expected to do to avert crisis. The Government has been forthright in admitting there is a food problem in the country and that measures must urgently be taken to avert disaster. We now expect that those given the grain import permits start doing so now as we all know that most people will be short of grain by April. We cannot wait any longer to put the importation programme in motion. As we import the grain, let us be honest and shun corruption. There has been a tendency in the past of inflating prices to make a quick buck or even importing substandard maize or worse still, importing GMO maize against the country’s policy banning such products. We hope this does not happen and those tasked with the job to import grain do so honestly. Once again we applaud the Government for taking the bull by its horns and accepting we have a food problem that requires all of us to put our heads together. Having said this, the solution to our food problems hinges on irrigation and the faster we develop it the better. We expect less talk and more action on irrigation.